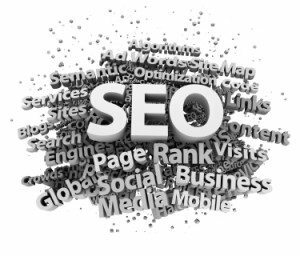 If you do not already realize the importance of SEO for your business within your own community, it is time you quickly get on board with it. If you do not yet understand what this means for your business, just take a moment to do a quick search online through Google to see where your business ranks. Even more alarming, do this to make sure your business comes up in search results at all. If you are using the same keywords to search for your business that your customers would and your business isn’t at the top of the list or showing up at all, this could help explain why you are not getting the local business you want. Ironically too many entrepreneurs are affected by a lack of good SEO without even realizing it. The importance of maximizing your search engine optimization and presence on Google for local businesses is practically immeasurable. Without proper planning and SEO, businesses that are not even within the area will actually still beat you out in local searches. Finding out where you stand when it comes to the most popular types of local business searches is one of the most important things you can do as a serious entrepreneur. When potential customers relied on the yellow pages to find businesses in their area, there was a better chance for all businesses listed to get a chance to be considered. Yet even those businesses who invested money in bolder print or an actual ad that made them stand out from the other listings were more likely to win the customers. Modern day SEO is similar to that, except without putting any effort into it you may not show up in the listings at all. When users search Google, the results are based on location down to a cell phone or a computer IP address. For this reason your customers should be able to find you, but if you haven’t put effort into being visible online no one will even know you exist locally. If you want to be better than your competition, it is crucial that you work out a locally focused SEO campaign. This is the best way to get local customers to your physical location. Get proactive about your local SEO and you will see direct results when you do a search, and more importantly when your customers do a search. Aside from just a basic Google search for local businesses, also check your standing with Google Places, Facebook Places and Google maps. If you want to see more local traffic coming through your doors, it is important to find out where you stand as a result of local online searches. Even if your results are decent, you should be working to improve your ranking. Those who miss out and think they already have presence in local searches may be suddenly disappointed when the local competition knocks them out with their own aggressive targeted local SEO campaign.